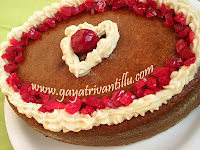 Break the Goruchikkudukayalu into pieces as shown in the movie. Take these pieces in a microwave safe bowl and spray some water. Cover and cook in microwave oven on high power for 5 minutes. Stir once with a spoon and cook again on 30% power for 7 minutes. Allow 5 minutes standing time and the Goruchikkudukaya pieces are cooked. Wash and clean curry leaves, chop and keep them aside. Break the red chilies into small pieces. Take a mixie jar and add the red chilies, coconut pieces and cumin seeds to it. Make a dry paste of these ingredients and keep it aside. Heat a pan and add oil to it. When oil is hot add bengal gram and black gram respectively. Fry till the seeds change color. Add mustard seeds, cumin seeds and fry till they splutter. 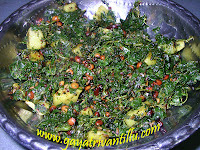 Add chopped curry leaves and fry. Then add turmeric powder and mix well. Now add the cooked Goruchikkudukaya pieces and mix well. Add salt to the curry and mix well. Cover and cook the curry for 2 minutes. Remove the lid and stir once. Add the ground dry paste of coconut to the curry. Mix well till all the pieces of the vegetable are nicely coated with the spices. Cover and cook for 1 minute. Stir once and transfer to a serving bowl. This curry tastes good with the crunchy taste of coconut. These Goruchikkudulu are rich in fiber. So make different curries with this vegetable and enjoy when it is available in season. One can even cut this vegetable with a knife into desired pieces. But the excess fiber if not removed troubles you while eating the curry. If you don’t have a microwave, simply add the raw pieces to the seasoning and sprinkle some water. Cook covered on slow flame till the vegetable is done. I have sprayed water while cooking in microwave. Vegetables get cooked with the water it contains when cooked in a microwave. So there is no need to add more water to cook the vegetables in a microwave oven. So just sprinkle some water or just spray little water to cook them. After the vegetables are cooked you will not find any extra water to strain.